A few things I learned when I lost my husband. In retrospect, it was absurd to think I could stop fate in its tracks. And yet, that is what I believed. I thought all I had to do to bring Pat back was apply the skills that had taken me so far in the business world. I didn’t want to believe destiny was beyond my command. I thought all I had to do to achieve my goal was remain positive. If I stayed strong, if I never wavered, Pat would get a miracle. When my optimism failed to bring about his recovery, I had to admit that optimism had its limits. I’m still an optimist. I will always be an optimist. Embracing positive thinking, even in the darkest of times, is central to my worldview. But I no longer believe that a sunny attitude can solve everything. Now I understand that some things are just meant to be, and I have come to terms with that reality. But while those skills might not have helped me bring back Pat, I couldn’t have made it through my journey without them and the coping skills I developed. These skills gave me control over my life when I had no reason to believe I had any. They allowed me to put one foot in front of the other when all I longed to do was curl up in a ball…. I hung on too long. I know I did. I had to learn to let go and accept that it was time. Knowing when to let go is fundamental to so many of the choices you have to make in life, whether you’re leaving behind a job, a relationship or a loved one. Acknowledging when it’s time to walk away is never easy, but you have to face that moment when it comes. Letting go of Pat was the hardest decision I’ve ever had to make. Arriving at that place took time and strength and painful self-examination. But the process taught me so much about myself. I discovered that you can have ambitions for another person that can be driven by deep love and devotion, and not realize that your ambitions for them aren’t necessarily what they want or value. Love isn’t about overruling the other person. Love is about respecting their wishes. And yet, I don’t regret the choices I made. Any other choice would have been unthinkable for me. I had to believe Pat would recover. I had to do everything within my power to see that he did. If I hadn’t made the choices I did, I’d never have been able to live with myself. Nor would I have found a way to embrace life again. I have learned to have empathy. I didn’t lack empathy before Pat had his heart attack. I have always been a sensitive person. Now I just have a much deeper capacity for empathy. I’m less inclined to judge others than I once was and more willing to forgive them. I have more compassion for myself, too. I still push myself. I will always try to go above and beyond in whatever I do. But if I falter or fail, I’m more willing to forgive myself. Excerpted from “Resilience: Navigating Life, Loss, and the Road to Success” by Lisa Lisson (ECW Press). Lisa Lisson is the president of FedEx Express Canada. She's the first woman (and the first Canadian) to hold the position. 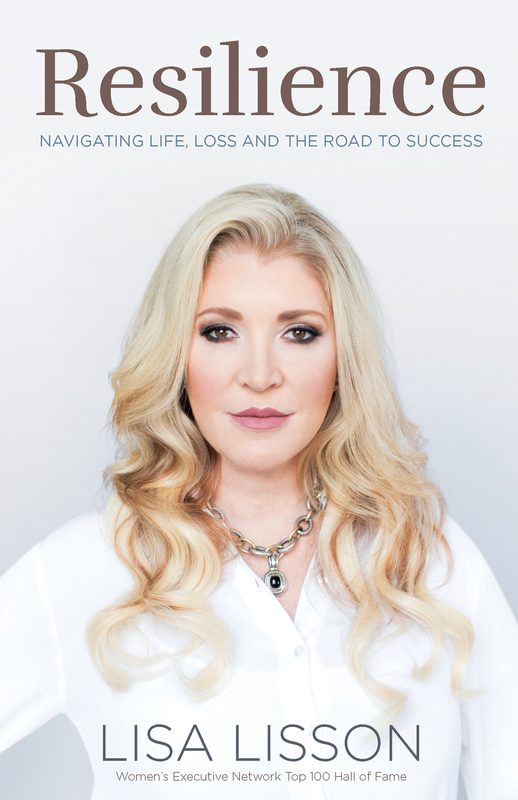 She's also the author of "Resilience," a book about grief, love, and striving for greatness that was written after her husband suffered a tragic heart attack before his fortieth birthday. She was awarded the Queen Elizabeth II Diamond Jubilee medal, and has been named one of Canada's Most Powerful Women by WXN.